When you buy a cookbook, how many recipes do you typically cook from it? For me, even with really good cookbooks that I dog-ear throughout, I’m lucky if I get around to actually make two or three of the recipes. Some of these books I would swear I am going to cook out of every single day, never make it out of my stack of “to do” books. Not so with the books I shoot. I make the hell out of those recipes. It starts because I need to make the recipe for a shot, but inevitably goes beyond that. I often fall in love with those dishes. My husband once accused me of never making the same dish twice; after shooting Dishing Up Washington, that’s about to change. Because now I know how to glaze braised meat. To be fair, I’ve been braising meat for a while, and I always considered myself pretty successful with it. The meat was delicious and tender. But it never quite had that gorgeous glaze that I’d get in a restaurant. 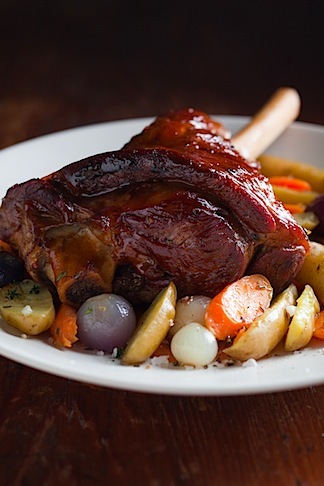 Now I know how, and I’m putting it to pretty amazing use, like with this glazed, braised lamb shank… a little play on Jess’s Beef Bourginon and Glazed Goat Shank recipes from the cookbook. I borrowed a little from one recipe, a little from another, for a dinner that is pretty darn awe inspiring if I do say so myself. 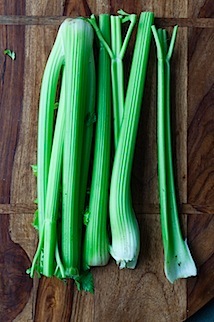 If you are braising, be sure to give yourself plenty of time. It’s not a process you want to rush any part of. You can also do most of the “work” on a lazy Sunday afternoon, and then wrap it all up to finish off just before dinner later in the week, if time is going to be tight. 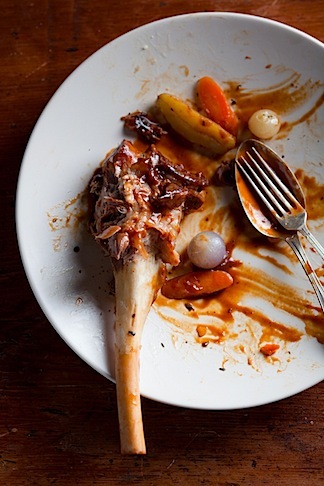 Start with a really good lamb shank. 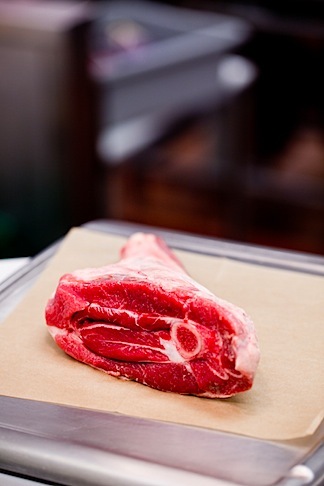 You aren’t going to get a good braise if your meat isn’t fantastic. I was lucky enough to be doing a little shoot in New Season’s Market for the Online Food Photography & Styling class that I’m currently teaching, and picked up a hefty shank from Umpqua Valley Lamb Farm in Riddle, Oregon. 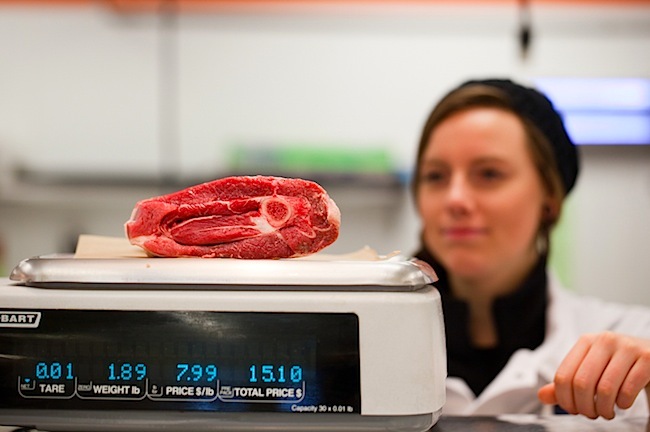 Umpqua’s lamb is sustainably grown, grass-fed and pasture raised by small farms in oregon. Rumor has it, they even feed their lambs tasty bits like broccoli! This is a farm I’d love to go visit sometime! Anyway, back to the braising. Salt and pepper it all over while you get a deep pot heating over medium-high heat with a healthy splash of oil on the stove top. You need a pot, with a lid, that is large enough to allow the shank to lay flat. But you also don’t want a pot that is too big… you need the shank to be submerge in the braising liquid. Trust me on this, find the right sized pot for your braise; it is well worth the trouble. Once the pot is hot, place the shank in (any side down is fine), and give it a good sear. Leave it in that pot, untouched for a good 2 minutes at least. Then turn it to the next side. Sear all the sides this way. If the meat is still stuck to the pan, give it another minute before trying to turn it. When the meat is braised all over, take it out of the pot, and set it aside on a plate. Now, you’ll want to add your aromatics & veggies. 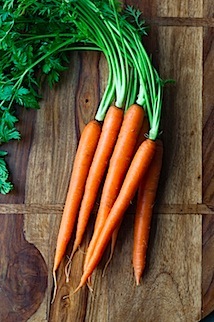 You can add what you like, but I like the simple combination of onion, garlic, celery and carrot. 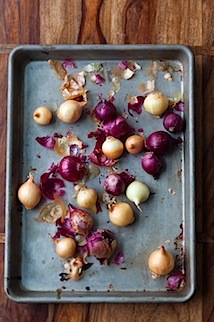 Pearl onions, leeks or shallots would be good in place of or in addition to the onion. A few sprigs of thyme are a nice addition, or a few stalks of Italian parsley (stems and all). Maybe a bay leaf if you like. It’s not fussy. Just cut some stuff up and toss it in the hot pan that has all the meat drippings (add a bit more oil if there is none on the pan), and turn the heat down to low so all the good stuff slowly cooks and doesn’t burn. Let it go until it’s kind of soft but not mushy. Onions will be translucent and golden rather than brown. Stir often. This will take around 10 minutes. Get your oven preheating to 325F. Now add your liquid to the pot and turn the heat back up to medium high. I like to start with wine. About 1/2 cup will usually do it. For lamb you can go with either red or white (I used white this time, but I might try with red, or even a nice dry sherry next go around). When that has reduced, it’s time to add the stock. This can be veggie, chicken or beef broth (home made is best, but the store bought stuff is fine too), depending on how rich you want your braise to be. Add enough to your pot that your lamb shank will be mostly submerged, with just the top 1/4 sticking out the top. The size of your pan will determine the amount, but it’s usually between a pint and 1 quart. Still on the stove top, bring the mixture to a very gentle boil. Once simmering, slide in the meat, and any juices that are on the plate, into the liquid and at top the veggies. Cover, and move the whole pot to the hot oven. Your work for now is done… go find something to do for 2 hours (or a little less, perhaps if you have a really small piece of meat). When you come back, your meat should be done. It will have contracted and pulled itself off of its bone, and then relaxed again into melty goodness. I always thought braising ended here. In the past, I’d just grab the meat, and the braising liquid as is and serve. I did not know all about glazing. And the glazing is the magic. So, here’s what you do. You take that meat shank (carefully now because it will be very tender), and set it aside on a plate and cover it with foil. Then, you run the braising liquid through a fine sieve (careful it’s hot), retaining all the yummy juices and discarding the solids. They are just mush at this point anyway. Put the liquid back in the pot and over medium low heat, start to reduce it. You want it to reduce by a lot, until it starts to have this lovely sheen. This will probably take 10 to 15 minutes. Keep a close eye on it because it’s easy for it to suddenly get nice and glossy and then move past that point the moment you walk over to the other side of the house because nothing is happening. Once the glaze is done, you can put the meat back in, give it a turn to coat, and warm it back up over low heat while you finish preparing the rest of your meal. You can also wrap up the whole thing at this point for dinner another night. When you serve, pour the glaze all over the meat, or place the glaze in a gravy dish and let folks glaze their own. Delicious! This entry was posted in Cook and Eat, Dinners, Recipe, Savory. Bookmark the permalink. This sounds divine! I’ve braised lots of different cuts of meat and always serve it up as is once it’s finished in the oven! I never knew glazing could be so simple! I can’t wait to try this out the next time we get a roast! Thanks for such a great tip! I made braised short ribs just this way for New Year’s. Isn’t this dish the most divine aroma coming from the oven? And then, making the glazing juices just brings it all together. One of my very favorites. I’ll never be a vegetarian I’m sure. That looks really great. 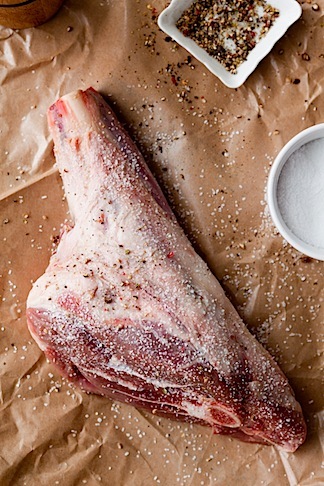 I have been planning to braise some lamb shanks, when I do, I will definitely try glazing. Thanks. Wow, this makes a girl feel good. Your photos do wonders! Great photos! I feel a food coma coming on… I will be back. Its nice to follow a fellow NW foodie! Thanks so much for the fabulous instructions. I don’t have to tell you that your photos are divine. And I too rarely make more than two or three recipes from a cookbook, but the ones that are the exceptions are gems, no? My braises have seemed to be lacking that special quality that restaurant braises have. I can’t wait to try this. Thank you for sharing your idea. Yeah 😉 I will definitely try this recipe tonight. Another wonderful recipe again, Thanks for you sharing! I always like the beautiful foods you have given. This is great! It is pushing me to add more glazes to my meats. Thanks! Yum! This looks like a delectable dish. I would love to have a some bite. audience response systemYour title …….. and many distinct things make me to pass a lot of time on your weblog. Found the best app for sharing recipes ever! It’s called Heirloom Recipes my sister just got it today and emailed me a recipe and I got the free version to try it and OMG I imported the recipe right into the app no typing or anything! The email had the link to the free one: https://itunes.apple.com/app/id617619870. I’m going to put this recipe in it and send it back to her so she can make it for the upcoming family gathering. It looks perfect! Preheat the oven to 350°F. Grease a 12-cup Bundt pan and dust it with flour. In a bowl, whisk together the sugar, lemon zest and salt. Add the yogurt, eggs and olive oil and whisk until well blended. Sift together the flour, baking soda and baking powder and whisk into the mixture, one-third at a time, just until blended. Pour the batter into the prepared pan and bake the cake for about 40 minutes, or until a cake tester inserted into one of the peaks of the cake comes out clean. Cool the cake in the pan, set on a wire rack, for 20 minutes. Invert the cake onto the rack and cool completely. Glaze: Gently whisk together all the ingredients in a bowl. Pour the glaze over the top of the cake and let stand for 10 minutes before serving.